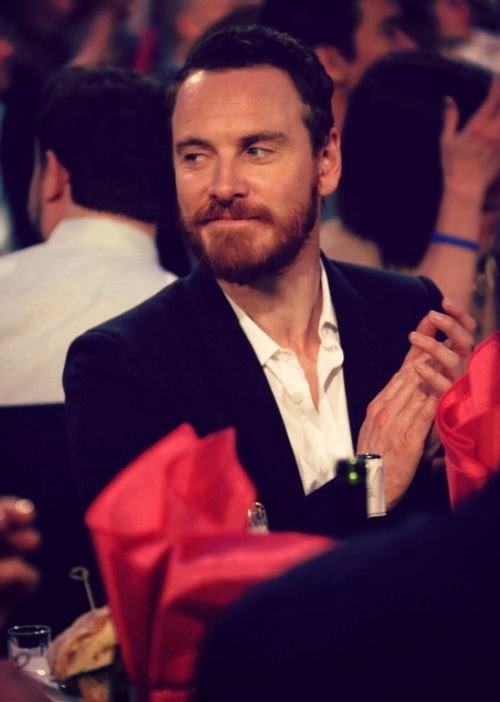 Fassinating Fassbender - A Michael Fassbender Fan Blog: Michael at the Oscars! Michael Fassbender took his sister to the Independent Spirit Awards yesterday in Santa Monica where 12 Years a Slave won the top prizes, including Steve McQueen for Best Director. And as you already know, he's spreading the awards ceremony love with his family because Michael is going to take his parents to the Oscars with him. I listed my Oscar Hopes at my ToZ blog and although I make daring selections, I'm happy that I offer up a fresh perspective, and that I'm not one who spends every waking moment toying with stats, odds, and formulas to predict who is going to win at the Oscars. I have found that the prediction business has made the actual Oscar ceremony boring and predictable because AMPAS has toed the line and lived up to what people predict they will do. What fun is that? Imagine being part of an organization that is so studied (85 years of history to refer to) that predictions are made based on politics, PR, and what we know is your likes and dislikes. So it begs the question, in the end, how much respect does such an organization truly deserve? Not much. I have not watched the Oscars telecast in about five years. I can't tolerate the silliness of the show, most categories completely bore me, and as I just mentioned previously, the predictability of the ceremony pretty much has been foretold weeks before this finale event. So, why bother watching? I have come to enjoy and prefer following the show and the winner announcements via twitter and live active comments at the Awards Daily Oscar thread. So when the FF chat takes place tonight, I will also be on twitter, and at Awards Daily, I'll be multi-tasking like mad. Whatever the outcome is for Michael's category, he has shown himself to be a respectful nominee and exhibiting excellent sportsmanship. It must be hard to be nominated consistently in all the top awards, but not take anything home. The worst was the BAFTA lost as they signaled to AMPAS that Michael's performance, while brilliant, was just too polarizing to favor and is only worthy of nominating. The Oscars will stay the course in the supporting actor category because it's safe and has been approved by precursor awards and the media... and plus, they'll feel good about their decision because after all, that is what is important, the group's comfort in their choice. I'm so glad this rotten awards season is over, I've never seen anything as bad as this. This blog post will be updated with pictures of Michael on the red carpet, so please join us in the FF chat room starting at 7:30pm EST (4:30pm PST - past midnight GMT). Also, the FF Fundraiser has been opened since Thursday and we have received donations. Please consider making your donation today to celebrate Michael's first Oscar nomination. You're a woman so multi tasking shouldn't be a problem :-) I guess i'm in my bed when all the 'fun' is going on. Have fun! I'll join Hupsakeek in bed (albeit a different one ;) ). From 1 am to 6 am in front of a TV with a break every 10 minutes is not my idea of spending the night (not even for Michael, sorry man). I'm just hoping for good photos and a genuine smile because he's sharing the moment with his parents.